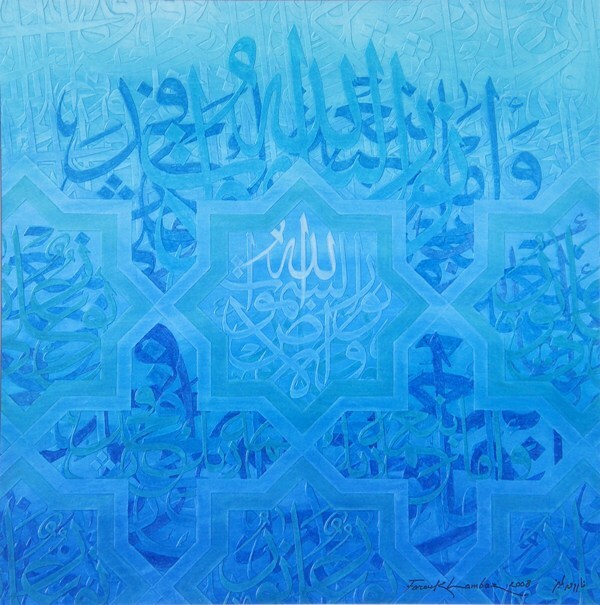 Jordanian artist Farouk Lambaz creates skilfully-crafted calligraphic paintings. 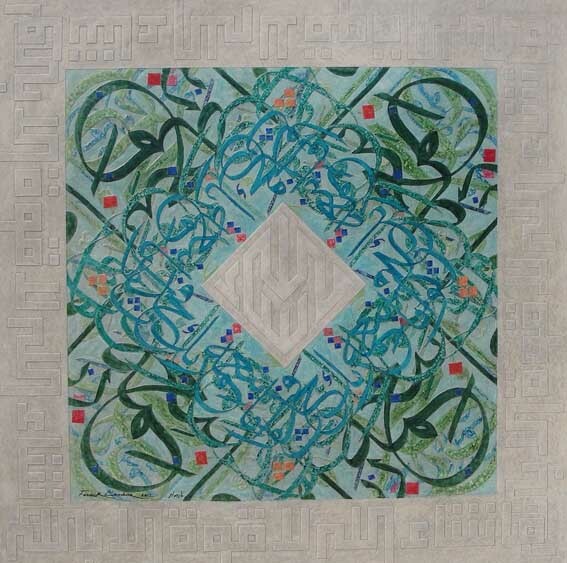 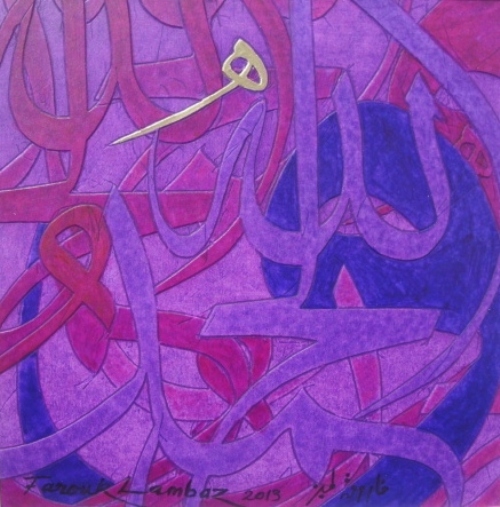 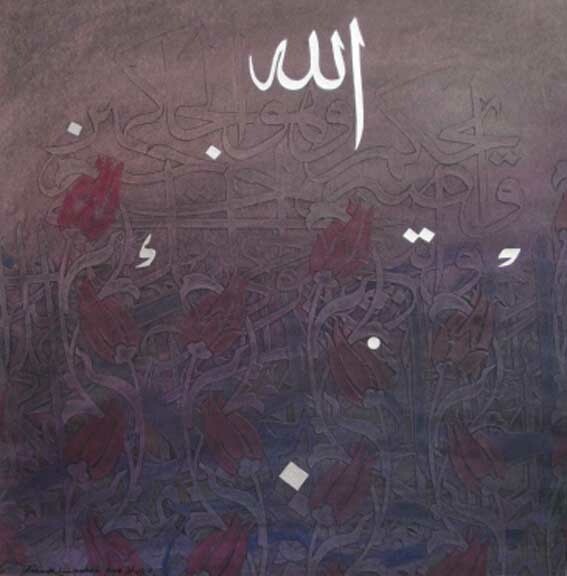 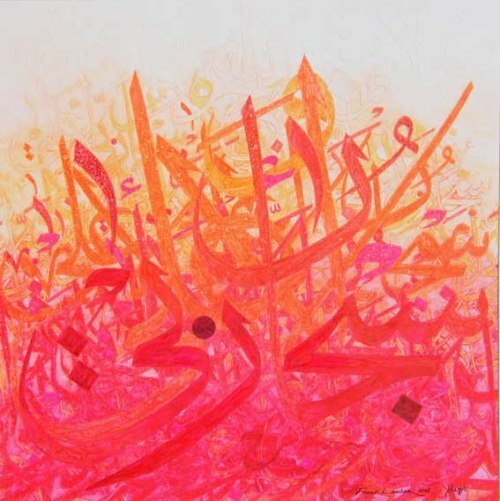 Using oil pastels as his medium, the embossing technique and the thuluth script, Lambaz evokes a spiritual, peaceful atmosphere in his works, doing homage to the Arab Islamic artistic heritage. 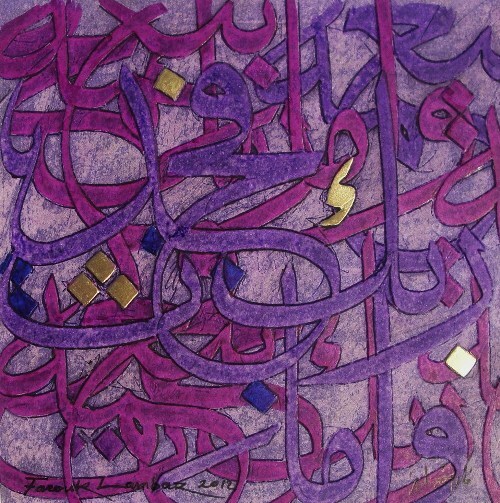 Born in 1942 in Amman, Jordan, Farouk Lambaz studied law but went on to pursue an active artistic career as painter, designer and art teacher. 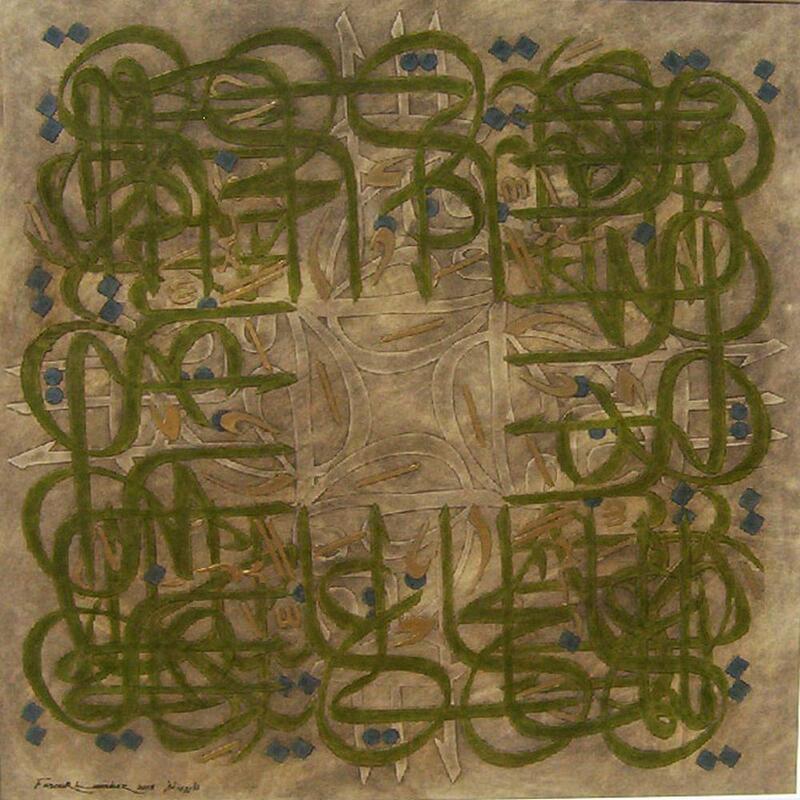 Since 1968, he has held fifteen solo exhibitions and has participated in numerous local and international group shows. 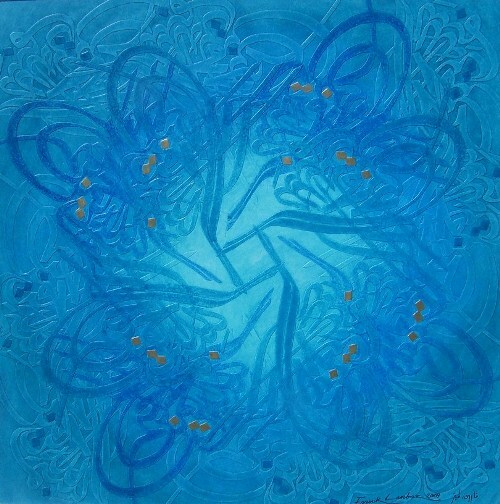 Lambaz was awarded the Jordanian Kawkab Medal of the Fourth Order by the late King Hussein of Jordan. 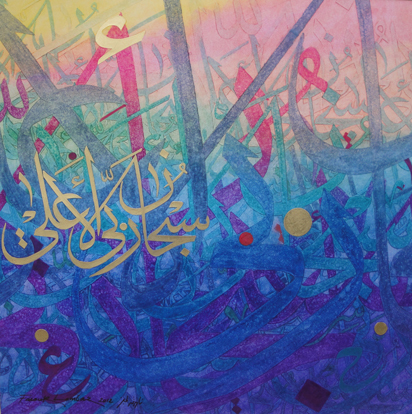 He currently lives and works in Amman. 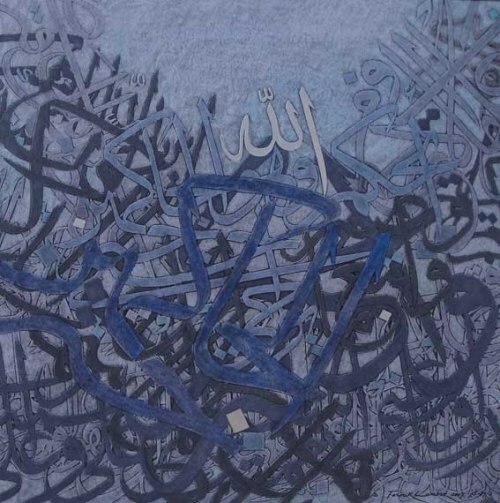 “The Arab Islamic artistic heritage is one of the richest resources for many artists in the region, for it is deeply rooted in their repository of memories. 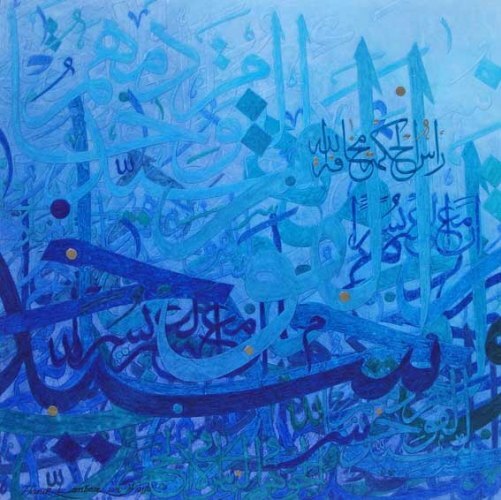 The impact of this heritage on contemporary artworks and the manner in which it is expressed differs from one artist to another, but no artist can totally escape its influence, as it is intimately tied to our environment, social realities and beliefs. 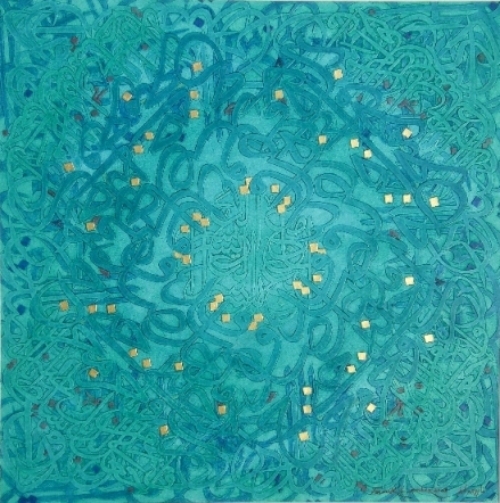 Furthermore, this heritage provides the artist with a variety of possibilities to express temporal and spatial dimensions, as well as stillness and movement. 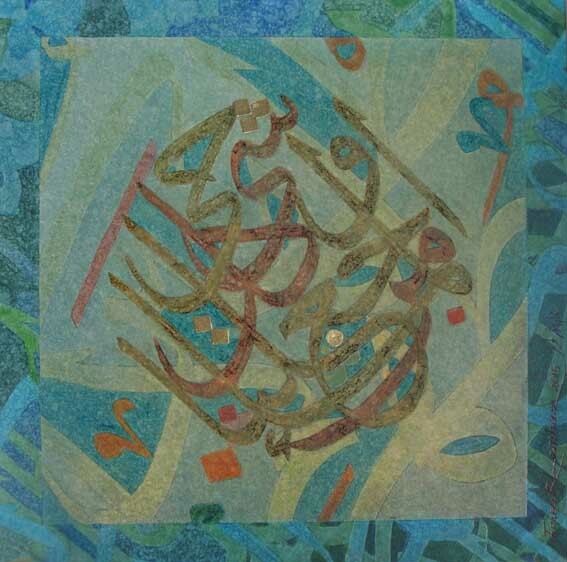 I do not seek to present technical expressions of this heritage, but to honour it, give it the value it deserves and expose it to present and future generations.